All debt is a power relation, and sovereign debt is part of a very deliberate creation of developing country dependency. The burden of crippling debt repayments results in a flow of wealth from poor nations to rich ones, while at the same time creditor countries and their institutions dominate the governments of their debtors, undermining their democracy, and imposing disastrous trade and privatisation policies designed further to increase creditor wealth. 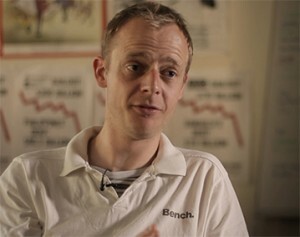 Nick Dearden, the Director of Jubilee Debt Campaign, will explain how debt is part of a skewed global economic and financial system that requires radical reform if there is to be any hope of eradicating poverty within an environmentally sustainable framework. This entry was posted in 2012 and tagged Nick Dearden. Bookmark the permalink. ← Syria: The most costly revolution of the Arab Spring?